recommended by Congress's IT department. Congress seems to be filled with cowards who aren't willing to do anything about this deplorable state of affairs. Well, we can add one more story to show just how far the letter of the law and the spirit of the law have diverged in this country when it comes to copyright in this country - this time, courtesy of Congress itself. The DMCA bans distributing tools that circumvent copyright holders’ “digital rights management” usage restrictions. And not even 13 years ago, two federal courts held it illegal not just to post an evolutionary ancestor of VLC’s DVD-playback code, but even to link to sites offering that software for download. The software in question was a Linux package called DeCSS that brought DVD playback to that operating system when commercial DVD licensees had ignored it. Movie studios focused on the fact that DeCSS had to break DVD encryption to do this job and sought to scrub it from the Web. When a group of them took the publishers of the hacker quarterly 2600 to court for this offense, they won. 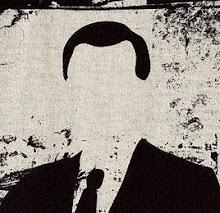 In August of 2000, District Judge Lewis A. Kaplan prohibited 2600′s editors from “knowingly linking […] to any other web site containing DeCSS, or knowingly maintaining any such link, for the purpose of disseminating DeCSS.” A year later, a panel of circuit-court judges upheld the ruling. That was a breathtakingly foolish decision–as I wrote at the time, the ruling didn’t stop 2600 from posting non-linked Web addresses, nor did it prevent posting the source code of DeCSS in a variety of forms. Nobody should have been surprised to see the Internet route around this censorship–DeCSS never went offline, nor did the successor code libdvdcss that helps VLC do its job. And it didn’t take too many years for the media to ignore the ruling and start linking to VLC and other unlicensed DVD-playback programs in stories, even though the same arguments that went against DeCSS could be aimed at VLC. 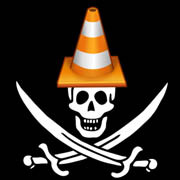 VLC, as I'm sure many of you know, is perhaps the best media player in the world - it is free, open-source, and will play pretty much any file or disc you throw at it - and, as described above, the way that it plays DVDs is by decrypting the DVDs in such a way as to likely violate the DMCA. So, according to the letter of the laws passed by Congress, VLC is an illegal piece of software. However, the Congressional IT department explicitly recommends that Congressional websites link to VLC to ensure that everyone can watch any videos posted on the website with ease (see this .pdf, p. 153) - VLC, a piece of software that is almost certainly made illegal by the DMCA. Even Congress, who passes the USA's copyright laws, can't abide by the letter of the laws, since the laws are so dumb. If Congress can't follow them, how can they expect us to? Labels: Bad Ideas, Justice, Media, Politics, U.S.